Remember last season when the Minnesota Timberwolves put up a sign on Target Center for Sanford Health which was clearly aimed at the Target Field audience? Today,the Twins released this photograph of a new scoreboard (with ads, no doubt), the Twins are building in right field. Perhaps it’s mere coincidence the scoreboard will block the Timberwolves’ ad. The view of the ad from the third base line looks unchanged. From the upper deck near left field, this does something to block it, but the view Sanford paid for is still wide open. Looks to me like the new scoreboard only covers one small section more than the old signage did. Funny…. As long as the Twins are collecting the ad revenue it’s not so “shocking” after all. I think it’s weird that they say it will now block the T-Wolves ad, but they’re not showing the same angle of sight. The new ad/board will only block it a bit… but not as much as their new picture suggests. Anyways, who cares? It’s Target Center’s wall, they can do what they want. 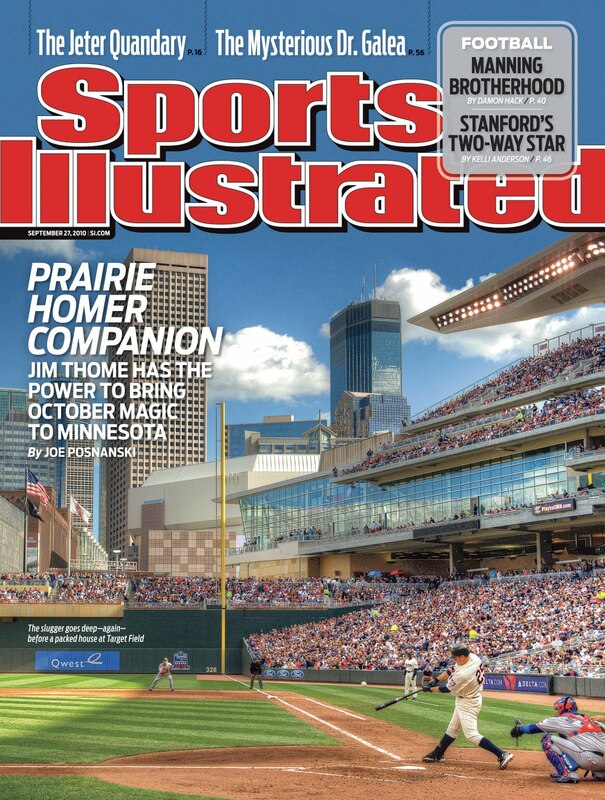 And shouldn’t Target Field play nice with Target Center. If the Twins are really worried they’ll lose viewers to some ad outside the building, maybe they should have signed or gotten in some good relievers this offseason. um, those signs were there last season. they were just a tarp before with sponsors on it. this has nothing to do with the giant stanford sign on target center. your move bob collins. Also who is paying for this new scoreboard? did the state need to contribute 30%? Looks to me like the Target folks could put a whole raft of billboards on top of the Target Center. They could even put up a huge display that ran ads throughout each Twins game. This is impressively bad reporting. As noted in previous comments, the new scoreboard in right field will do nothing to block the ad. I expect better journalism from MPR than this. The reason for the new scoreboard is that the current one can’t be seen from the left field bleachers. It will only obscure the Sanford ad for some sitting near the left outfield. I’m never distracted by the Best Buy or Subway ads behind homeplate when I watch a game on TV (which I apparently won’t be able to do this year for want of cable revenues). At the park I’ve never been distracted by the colossal Best Buy or Budweiser signs. Even with the Sanford sign there like a sore thumb, the focus of my gaze is the beautiful Mpls skyline. This seems to me like the organization throwing a tantrum because someone else figured out a revenue stream that can be aimed at their captive audience. You want to block outside ads? Guess what – you just left an enclosed stadium. Welcome to the outdoors. Now you put up with not only rain, but outside advertising as well. What’s next, suing Metro Transit for ads on buses visible from the plaza? They already tried pine trees in center field and are cutting them down for being too distracting for batters.